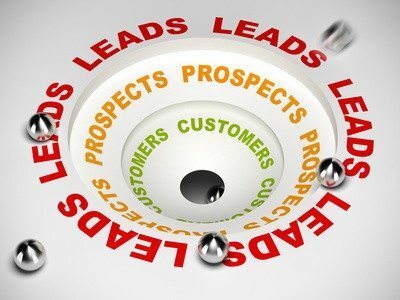 Realtors, like professionals everywhere, work very hard (and often spend a lot of money) generating new leads. But when they get those real estate leads, they often fail to do key things vital to keeping and converting them into clients. According to MarketingSherpa, 79 percent of marketing leads never convert into sales, largely due to lack of follow-up and lead nurturing. In this article, I’ll explain what you need to be doing to properly nurture your real estate leads so they convert into loyal and lifelong clients. You need a real estate CRM (customer relationship management) platform to organize and manage your business, and to stay in touch with past clients, build relationships and nurture your leads. I like to think of it as your “central business hub.” When you get a new lead, be sure to add it to your real estate CRM from wherever you are. Your CRM’s smartphone sync capability makes it easy for you to add new leads into your database, even when you’re on the road. And if you generate leads on your website, your CRM’s automated website lead capture also adds new leads to your database immediately and sends you an email alert for quick follow-up (more about that later). When new leads are added to your CRM you can choose to have them assigned automatically to a drip email or letter marketing campaign, or to select the marketing campaign manually based on the type or source of the lead. By assigning every new lead to an automated lead nurture campaign, you’re keeping in touch, educating the lead on your services, and ensuring that you’ll be the Realtor they call when they’re ready to move forward. 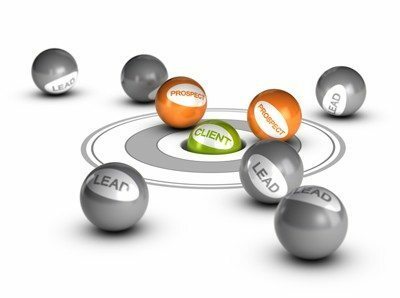 Respond to each lead as soon as possible and qualify them. One of the benefits of taking advantage of your CRM’s website lead capture technology is that you can ensure each lead is responded to by email as soon as they contact you. It’s also important to try to contact these leads immediately by phone. Your CRM will notify you via email in real time when a new lead comes through your website. Fast response time is paramount. PCMS Consulting and One Cavo found that 75 percent of leads received via the Web are lost because real estate sales professionals and others in the industry either don’t respond to them or respond too late. And research has shown that being the first person to respond to a lead gives you the upper hand when it comes to converting a hot lead. A good real estate CRM will have email and letter templates as well as drip marketing campaigns, created for you, and targeted to different lead types, such as for-sale-by owner leads, buyer leads and seller leads. You don’t need to be a marketing expert to start sending effective drip marketing campaigns. Assigning each lead to a drip marketing campaign and/or your monthly real estate newsletter ensures you keep in touch with them over time. Remember, not all real estate leads will be ready to buy or sell right away. But if you’re staying in contact with them and providing value long term, you’re increasing your chances (substantially) that the lead will choose you when they are ready. What’s important to note is that the content you’re sending matters — a lot. The content needs to be targeted and relevant, and the information in the emails and or letters need to be valuable. “Me me, me!” emails and advertisements are not effective. Conversely, providing tips and advice on buying, selling and the market is welcomed and effective. Make sure your real estate CRM comes with targeted drip campaigns and a professionally designed and written newsletter or e-newsletter with relevant content (if the first article in the e-newsletter is about how to pick a ripe mango, that’s your first red flag!). Good drip campaigns will also be a mix of emails or letters, to-do’s and phone calls. As well, you should be able to view campaign reports for your monthly e-newsletter, which will help determine who your hot leads are — those reading your e-newsletter (perhaps multiple times) and clicking on the links! At the end of the day, you need to be taking advantage of a good real estate CRM and nurturing your leads properly so they convert. An ActiveRain study, “Rich Real Estate Agent, Poor Real Estate Agent,” found that almost twice as many successful agents (measured by income) use a CRM than those who were less successful. If you put the three steps outlined above into practice starting today, you’ll be amazed at the jump you’ll see in your conversion rate of leads into clients! Matthew Collis is part of the sales and marketing team at IXACT Contact Solutions Inc., a North American real estate CRM firm that aims to help Realtors achieve their real estate goals through effective contact management and relationship marketing.